Creative CVs – Too Much? HomeFree AdviceCV Writing – Creative CVs – Too Much? We’ve all seen them-the example of the web developers’ or animators’ CV that goes viral because it’s just so different; so unlike the straight-laced, heavily formatted and above all, predictable document that we were taught in school or college to compile. In those first, tentative steps into the jobs market, we were concerned above all with having our CV look “right”. Having your CV look as close to template we found online was key, and there wasn’t any room for creativity, save for a few strategically selected “hobbies”, chosen with the goal of making it seem like filing and filling envelopes wasn’t your favourite activity. But as we progress down our chosen career paths, and we become a little more confident in our abilities and our place in the working world, it might be time to allow some more personality (and evidence of our abilities) into our CVs-but how do we tread that fine line between the eye-catching and memorable, and the inappropriately flashy? Below are some guidelines as to what’s appropriate when you’re trying to make your CV stand out. This might seem like an obvious point, but take into account whether you work in (or are hoping to get into) a creative or more traditional, staid industry, then imagine what type of person will first see your CV. Those recruiting for project management, finance or operations roles will typically expect your traditional “name, education, experience” layout and anything beyond the ordinary will be jarring; often standing out in a negative way. 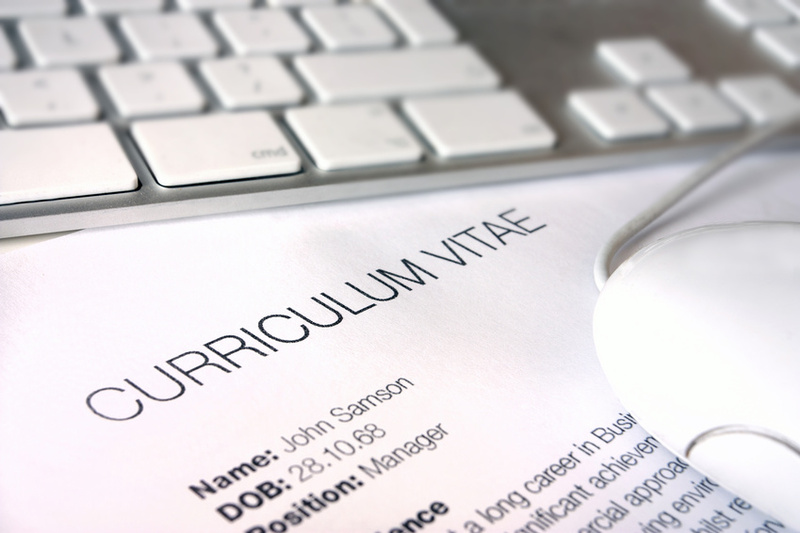 Especially if the first person who sees your CV isn’t the final hiring decision-maker, the recruiter or HR assistant might be reluctant to progress your CV with a number of others who have followed a set format. In the online or emerging media industry, however, a creative CV is all but expected, and submitting a run of the mill, black-and-white document might reflect negatively on your abilities; after all, this is the first chance to show off your abilities-use it! A graphic designer presenting a textual CV might actually be doing himself a disservice. If you are indeed a graphic designer, web developer, or something similar, and have decided to catch the recruiter’s eye from the get-go, consider the layout carefully. If you have strong skills around design, it can be tempting to try and make your CV into a work of art, but keep in mind that it’s still a CV, and should include the pertinent information. You can present this creatively, by using timelines, charts and infographics, but it should still include education, professional experience and, of course contact details. Often, internal recruitment processes require a certain amount of “box-ticking”, so all information may need to be inputted to an internal candidate management system, and these key points should be laid out clearly, to avoid making the job of the recruiter of hiring manager difficult. As with most things, err on the side of caution. Don’t attempt to include every design skill you have on one page; a slick, clean design will be more attractive and ultimately, more effective. A busy, overcrowded assault on the eyes won’t do you any favours, and may be perceived as over-enthusiastic and a little juvenile. Unless it’s a role to design video games, steer clear of cartoon-ish design schemes and clashing colours. Keep it clean, with enough (but not too much) white space, and make sure to tailor it for the role you’re applying for-demonstrating your peerless design skills isn’t going to work for all roles! Overall, a well-thought out, attractive, and fresh-looking CV can often catch the recruiter’s eye, but use some common sense – there is a time and place, and don’t go overboard!